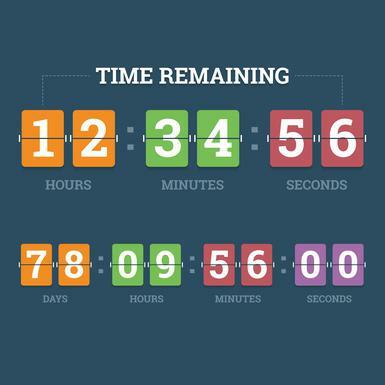 For those of a certain age, the word Countdown either evokes associations of the British game show on Channel 4 or brings back memories of Europe’s 80’s classic power ballad that proudly flaunted bouffant hair (for men) and unnecessarily tight leather pants. But for the next wave of Bournemouth University students the ‘Countdown’ will be always be remembered as that time their chosen university made every effort to start their ‘Uni’ journey feeling part of something. At TERMINALFOUR, we love really simple but incredibly effective student engagement campaigns and once again Bournemouth University delivers. The concept is very straightforward; the University recently sent a ‘Countdown to BU’ wall calendar to all their UK undergraduate offer holders. The calendar counts down the weeks until the start of term and has a pre-university bucket list with some fun tasks to help future students get ready for the start of term, and to make the most of their last summer before Uni. They’ve also created a countdown website, where students can get some more inspiration to help tick off their summer bucket list: www.bournemouth.ac.uk/countdown-to-bu. International students were sent an email, encouraging them to join the countdown online (it’s especially scary to start your university life off in a new country). One of our favourite sections is ‘Master the art of cooking’. Your mother isn’t there to cook for you and your waistline and wallet can only survive on fast food for so long. They’ve outlined easy and affordable recipes to ensure you don’t starve during your first term. You’ll be making Chicken Fajitas, Sausage & Baked Bean Casserole and Mac & Cheese in no time. This isn’t rocket science but it is a wonderful way to create excitement about starting university in a fun, practical and incredibly helpful way. But let’s not forget this is content gold. The #countdowntobu hashtag on Twitter and the associated selfies, images and potential videos are a university marketing department’s dream. We’ve long exalted the benefit of content created by your students to engage and inspire their contemporaries. Getting them to share and be active parts of #countdowntobu is the gift that keeps on giving. We love the premise, tone and simplicity of this campaign. We applaud Bournemouth University for once again getting it right. Here’s another example of Bournemouth University capitalising student content. Please let us know in the comments section if your University is doing something clever to promote student engagement.